Over the last, few weeks, I’ve been working with the instructors going for their Level 1 (along with training new hires) but last week I was able to work with an instructor going for Level 2. This inspired me to write up a few tips that will help people going for the Level 2 exam. Our hill has the exam this coming weekend and from the book sales I’ve seen lately, it looks like many others are preparing for their exam, so here’s some additional help. The way they do the exam in the Central Division right now is that you either get your lesson assignment at the beginning of the day or else a chair lift ride or two before you give your lesson to the group. Either way, this isn’t a lot of time to put your lesson together but in real life, with real students you actually have less time to prepare. 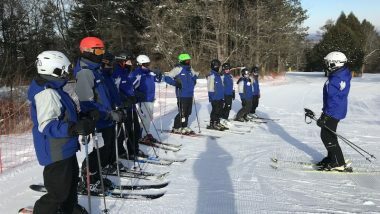 You’ll watch the skier do one run and then have one chair ride up to put together your lesson with them while you talk to them. 1. Which Fundamental Are You Working On? Review the 5 fundamentals in your head (which you should, for sure have memorized, word for word – along with understanding of each). Which one is the closest to what will help your student the most? Is it a fore/aft issue (fundamental #1)? Is an issue with their weight on the wrong foot (fundamental #2)? 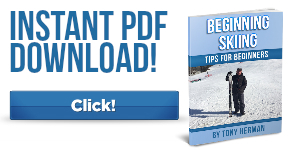 Will more edge angle help them ski better (fundamental #3)? 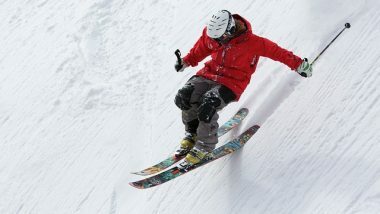 Is their body following their skis instead of facing downhill (fundamental #4)? Could they use some more absorption as they ski (fundamental #5)? For each one of these fundamentals, you should have a lesson prepared. Make up a cheat sheet and have it in your pocket. It’s usually allowed to look at that and making up that cheat sheet for yourself will help you work through these lessons in your mind. 2. Which Part(s) of the Turn Will This Lesson Apply to? 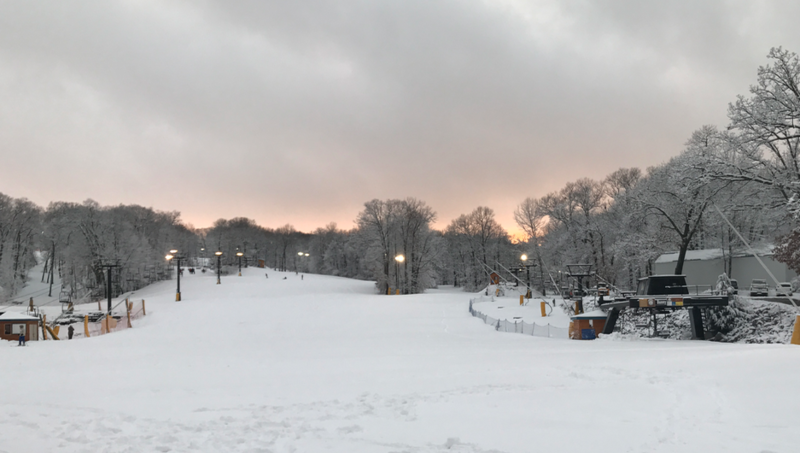 For example, if they are a “Z” turner where they kick their ski tails out to turn (which I saw WAY too much of this last weekend at Cascade… weird), then they need to round out their turns. This would be the shaping/control phase. If we’re working on the shaping/control phase, then maybe a drill like “1000 Steps” or “Shuffle Turns” will help round out their turns. And, per the example I’m explaining here, we’re working on fundamental #1 because if they move their center of mass more forward as they turn, that will get them off their heels. The tips will then guide the skis through the snow instead of the tails. 4. What’s Your Static Exercise? Now that we know the main drill to work on, work backwards. What skill do they need in order to accomplish the main exercise? For this example, a step or shuffle is the first thing they need to be introduced to. A shuffle is usually easier for a student than doing steps, which would require them to lift their foot/ski off the snow. Our static exercise is shuffling for this example. Typically, you’ll just add some intensity and increase the pitch. If you we doing a lesson to get someone to parallel skiing, for example, you might start with “Railroad Tracks” and then increase the duration to get them to parallel. You now have your introduction (per my book), the static, you’ll then do a traverse doing shuffling going to the left, then another traverse doing shuffling to the right, then do one turn (a “C” turn) doing shuffling, then another one, then connect the two (an “S” turn), then add some intensity, then put it into our skiing and then wrap up. That’s honestly a lot for 20 minutes, you’ll need to move through it at a good pace. But what is this lesson, really? It’s just one drill, basically… “1000 Steps” or “Shuffle Turns.” That’s it. 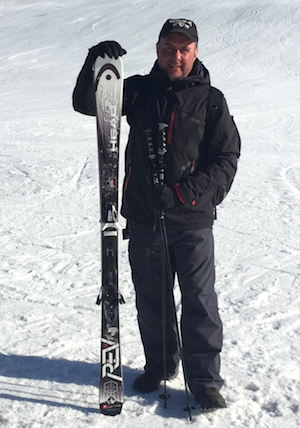 We broke it down to help get people there, then we did it, added intensity and then put it into our skiing. One mistake I made before taking my Level 2 Exam and one I see other instructors make is doing too much during a lesson. Again, the example lesson here is just one thing. That’s it. Just add the lesson formula I explain here and in my book and you easily have a 20 minute lesson. Don’t over complicate it. Keep it simple, right? Just think of these 5 things, then put your lesson together. You’ll have plenty of time to do this on one chair ride up if you follow these steps. 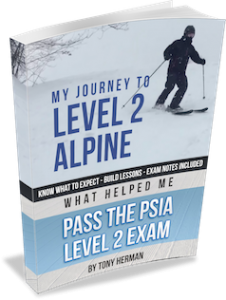 Of course, I go into a lot more detail and give more help in my book: My Journey to Level 2 Alpine: What Helped Me Pass the PSIA Level 2 Exam where I explain the bulletproof introduction to give, how to do a killer wrap up and how to prepare. The book is only $5.99. I kept it cheap on purpose. I wanted to help other instructors by keeping the price low but it’s worth way more than that – I’ve heard people say that over and over again. Go pick it up. It’ll help. Good luck on your exam. Make sure you really prepare – both mentally and physically. Our exam here is 3 days on snow and keeping up mentally and physically standing there and then doing your best skiing isn’t something you can just “wing” when you get there. No way. You’ll most likely fail. We had 7 people in my Level 2 and only myself and one other guy (a race coach) passed. Make sure you prepare and you’ll do well! You can “steal” stuff from other people’s lessons. What this means is if someone else does “Garlands” in their lessons, you can still use it. Do what they did. That’s fine. You don’t have to do something different just because it’s been used before. One more tip for ya!